UPDATE 12.1.: Cheap flights from Cologne to Varadero again available for only €375! Choose from 2 options in January and February this time. Book here, check screenshot! UPDATE 6.1.: flights from Cologne to Varadero in Cuba still available for €350! Departure in January, 23 kg luggage included. Check dates and book here. Eurowings now offer cheap direct flights to Cuba from Germany. 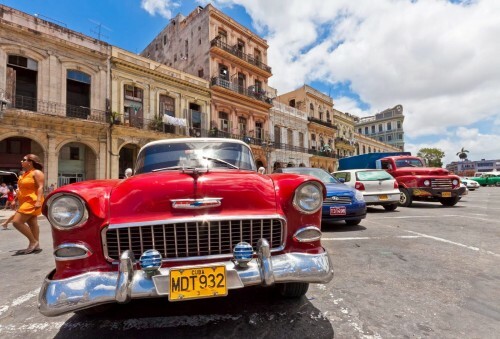 Return flights from Cologne/Bonn to Havana are now available for only €340! Regular tickets to Havana cost around €600. 10 kg cabin luggage is included, 23 kg check-in luggage is available for extra fee. You can also fly from Cologne to Varadero for same price €340 on 9.-27.1., 13.-27.1., 16.-27.1. or 18.-27.1.2017. « Super cheap flights to Barbados: Bridgetown for only €237!